← “Better Way” On The Way? “J.R. Ewing” will turn 80 this year! 2011 seemed like it might be the year for an all-new “Dallas” series, centered around the new generation of Ewings. The ball appeared to be rolling on the project, as I enthusiastically reported here back in November. 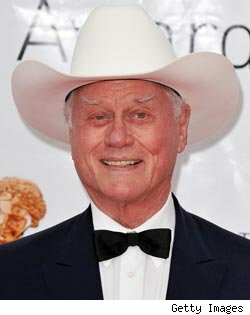 I do wonder why Larry Hagman would need to talk about money at all. At his age, turning 80 this September, and with the millions he’s made, grown and cultivated from his heyday, he should be willing to reprise his famous role for nothing! I would think he’d see it as pure enjoyment, and perhaps his final act. Odds are, however, that ole J.R. sees it differently. In any event, I hope it really happens this year, that J.R. will return once again! And that’s my opinion.